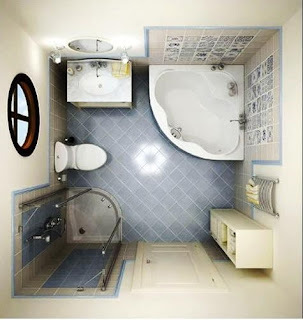 Making the most out of your small bathroom is a challenge not many take on, but if you’ll be surprised at how much you can do with a small space. We like to think of small spaces not as constraints but as opportunities, and we’ve developed some tips to help you transform any small bathroom into a modern space you want to go into instead of one you dread to go into. It all comes down to two simple things. First thing, be mindful of your space. Second, don’t be afraid to try something new. We all want to have shelves, towels, cleaning supplies and basically everything we might need in the bathroom. However, with small bathrooms, you have to be careful with storage. Filling your bathroom with all of the above might make everything conveniently available, but it also might make it harder to walk. One thing you can do if you want to have towels, personal items, etc. is to add some small storage accessories to your bathroom. 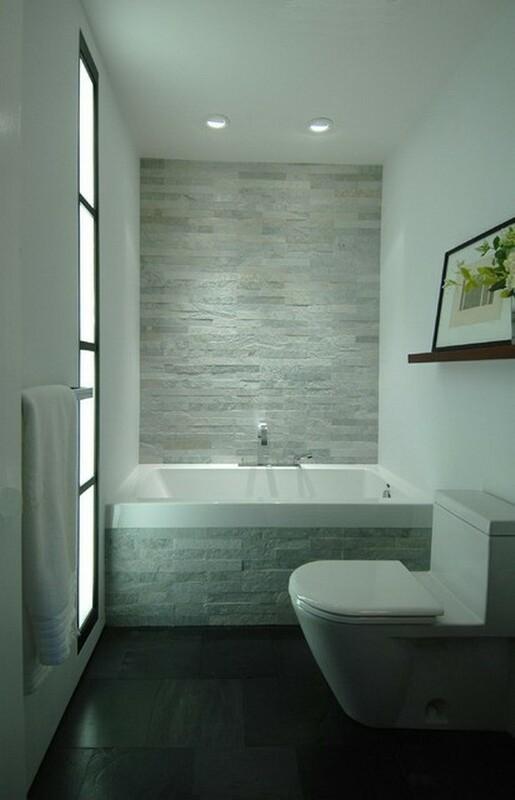 This is ideal for that modern bathroom look because it’s all about minimalism these days. A good example of this is new shelves. Floating shelves are sleek and modern looking and are typically less bulky than traditional shelves while still offering you a reasonable amount of extra space. 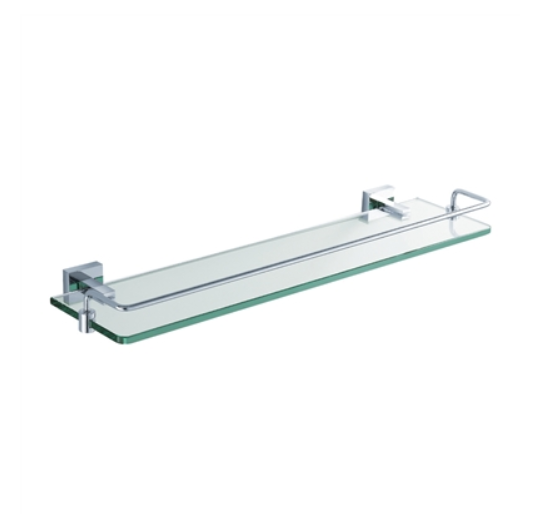 Another example for a modern look is to add sleek glass shelves. Other examples of storage accessories include storage ladders, crates and baskets. Despite the fact that it’s a small bathroom, it’s still your bathroom. So make it yours. One of the best ways to make yourself forget about the size is to make your bathroom a reflection of you. If you have a favorite hobby, use it as inspiration to decorate your bathroom. Or perhaps you love quirky and colorful objects. Add them to your bathroom. Maybe you’re really witty and like to get people to laugh. If so, consider putting some funny phrases in your bathroom in picture frames. The picture frames will add a classic touch to any bathroom and your hand chosen quotes will make the bathroom feel uniquely you. It’s all about the mood. Everyone knows that mood and color have a mutually beneficial relationship. That being said, a change of color might be just want you need to spruce up your small bathroom and give it a modern vibe. 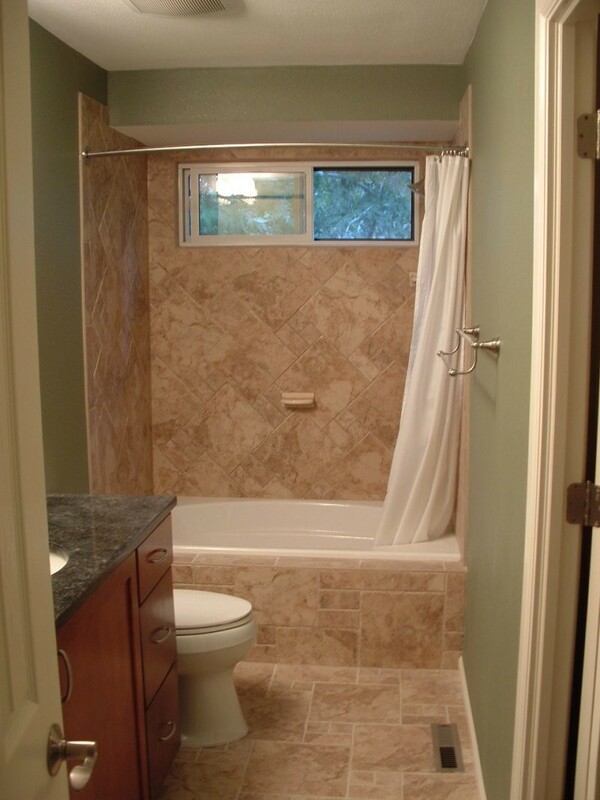 If it’s in your budget, consider changing the tile or material of your floor, sink and walls. Adding light colors immediately gives your bath an elegant and calm vibe while adding dark colors gives your bathroom a sleek and professional look. 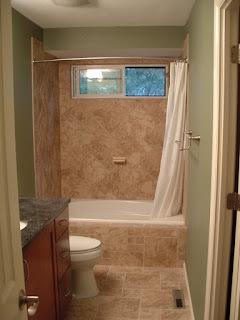 These are just a few of the dozens of tips out there for us who live with small bathrooms and there’s always new ideas every day. No matter what size your bathroom is, don’t give up on it.